Want Your Skin to Glow? Eat These 6 Foods! Whether you're dealing with dryness, uneven skin tone or just general dullness, adjusting your diet can help you get your glow on. While processed foods tend to deprive your body (and skin) of essential nutrients, healthier fare boosts blood flow, supports skin cell turnover and fights cellular damage -- all key for a radiant complexion. Not sure where to start? Include these radiance-boosting foods in your well-rounded diet for smooth, gorgeous and young-looking skin. Dark leafy greens and orange veggies are especially important if you want to skin to glow. The reason? They’re loaded with pigments, called carotenoids. These golden pigments dissolve in fat, and they accumulate in the thin layer of fat under your skin. As you eat more orange and red veggies, you accumulate more carotenoids and develop a naturally sun-kissed glow. In fact, this “carotenoid glow” actually looks healthier and more attractive than a real tan, a recent study reports. While a good skincare routine is key for keeping your skin healthy, you also need healthy fats to moisturize your skin from the inside out. The fats in your diet help maintain your skin’s natural lipid barrier, which keeps it looking smooth and glowing (and also prevents nasty infections). To get glowing skin, you’ll need healthy fat from a range of sources -- from olive oil to coconut oil to avocados. 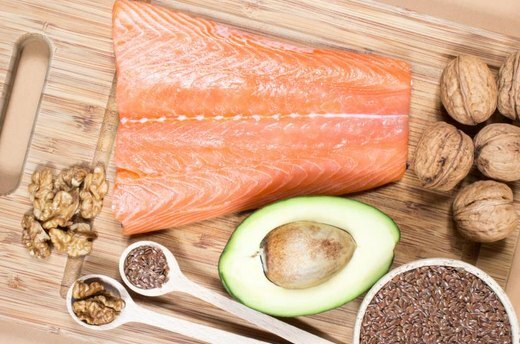 But it’s especially important to get sources of omega-3 fatty acids, like salmon, chia seeds, walnuts and flaxseeds. That’s because you can’t make omega-3 fatty acids on your own -- you need them in your diet -- and low levels of omega-3 makes you especially prone to dry, dull skin. You need dietary protein to maintain your skin’s elasticity -- it helps you make collagen that keeps your skin smooth, firm and youthful. Some types of protein -- like red meat -- boost inflammation, though, which can irritate your skin. Instead, you should opt for anti-inflammatory sources of protein that’ll soothe your complexion and enhance your natural glow. Go for salmon, lentils, beans and protein-packed grains like quinoa and amaranth. As a bonus, these foods also contain iron, which boosts blood flow to your skin for a natural radiant flush. Antioxidants shield your skin from toxins, called free radicals, that would otherwise get in the way of healthy cell turnover and dull your complexion. Antioxidants also fight cellular aging -- which will keep your skin youthful. And they offer some natural sun protection so, while you’ll still need SPF, you’ll have some natural “insurance” to boost your sunscreen’s benefits. 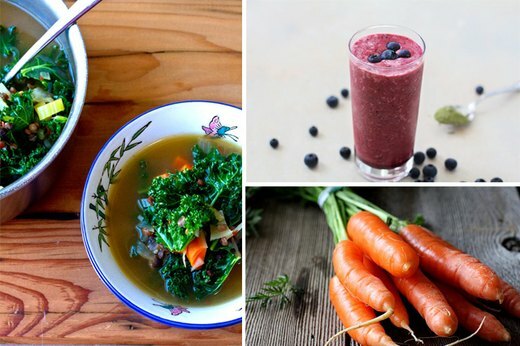 Want more antioxidants? Spice up your cooking! Herbs, like sage, peppermint and marjoram are among the best sources of antioxidants. 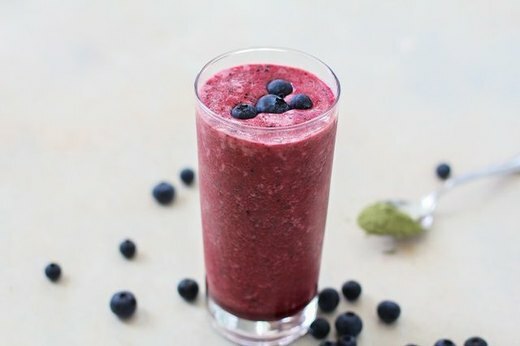 You’ll also get tons of antioxidants from berries -- especially blueberries -- black rice, white mushrooms and whole almonds (with the skins on). Glowing skin isn’t just about eating well, it’s also about staying hydrated. Dehydration draws moisture out of your skin, so the cells start to deflate and your skin starts to lose its firmness and natural radiance. Of course, drinking water throughout the day helps you hydrate, and making your own flavored water can make it easier to get the recommended 8 cups per day. Consider adding an apple cider vinegar and lemon drink to your daily routine for glowing skin. 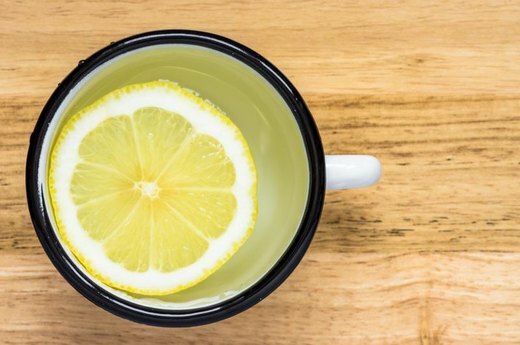 Apple cider vinegar comes packed with antioxidants -- perfect for staving off dullness -- while lemon adds vitamin C to boost collagen production.